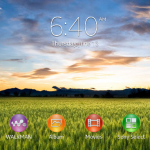 Sony Xperia Honami which has been in the news since the very first day it’s rumor started rolling has got some spotlight this time. 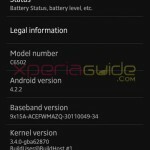 We have seen PTCRB certifying the very first initial firmware build for Xperia Honami i1. 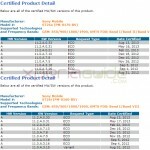 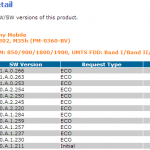 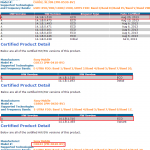 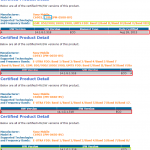 PTCRB REMOVES Listing of Xperia Honami C6903/C6906 14.1.G.1.493 firmware – Is Xperia Honami coming ? 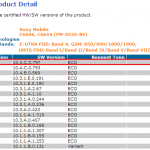 Dated 15 August, PTCRB listed first initial 14.1.G.1.493 firmware build for Xperia Honami C6903 European LTE version and the C6906 North American LTE version. 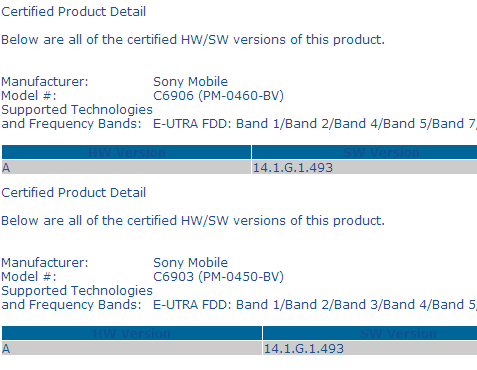 Rumors are there that Xperia Honami i1 may be announced at Sony’s meet at IFA 2013 in Berlin but the first 14.1.G.1.493 firmware build is certified before the launch of Xperia Hoanmi, strange firmware certified before its launch. 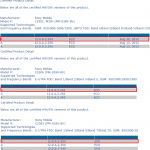 Well one thing is certainly clear that Xperia Honami is not a rumor now, this device is soon about to come and we will definitely see it’s launch in a few weeks ahead. 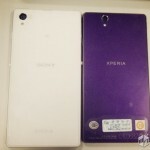 Yesterday a White Xperia Honami was snapped, comparing it with Xperia Z and iPhone 5.